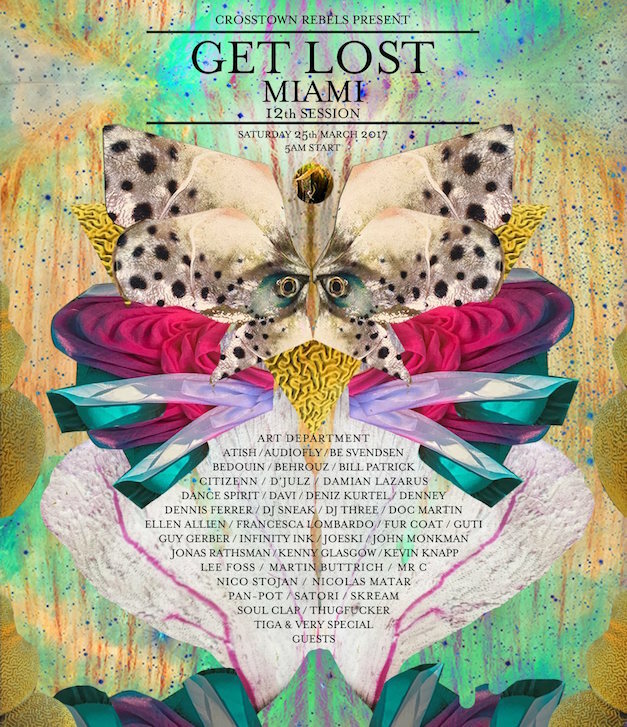 Damian Lazarus has revealed the line-up for the 12th edition of his annual 24-hour Get Lost bonanza at Miami Music Week. Taking place from 25th to 26th March, the event will see a host of top talent perform, including Dennis Ferrer, Ellen Allien, Art Department Kenny Glasgow, Pan-Pot, Guy Gerber, D’Julz, Tiga, Jonas Rathsman, Guti, Martin Buttrich, Soul Clap, Mr. C, Skream and many more. The location for the party is yet to be revealed, but that hasn't stopped tickets flying. We recommend grabbing one here while you still can.